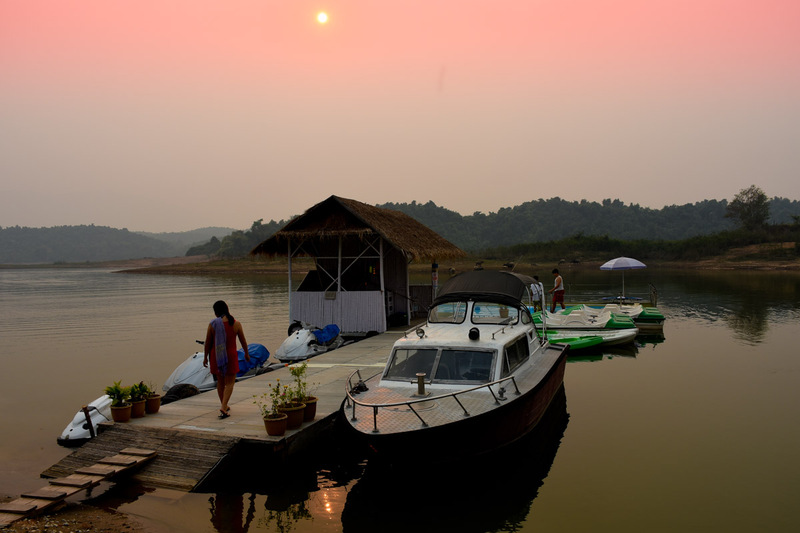 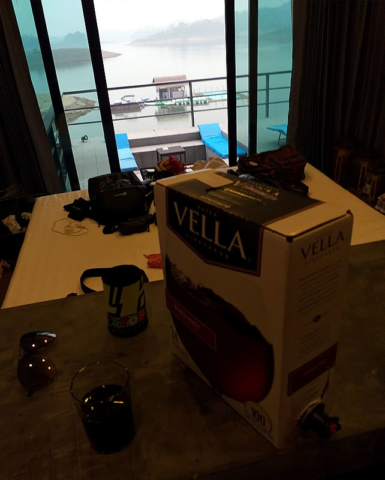 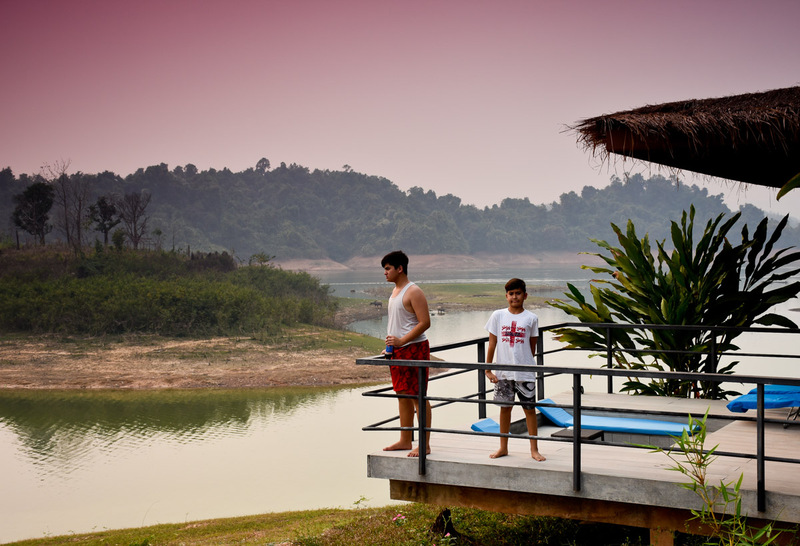 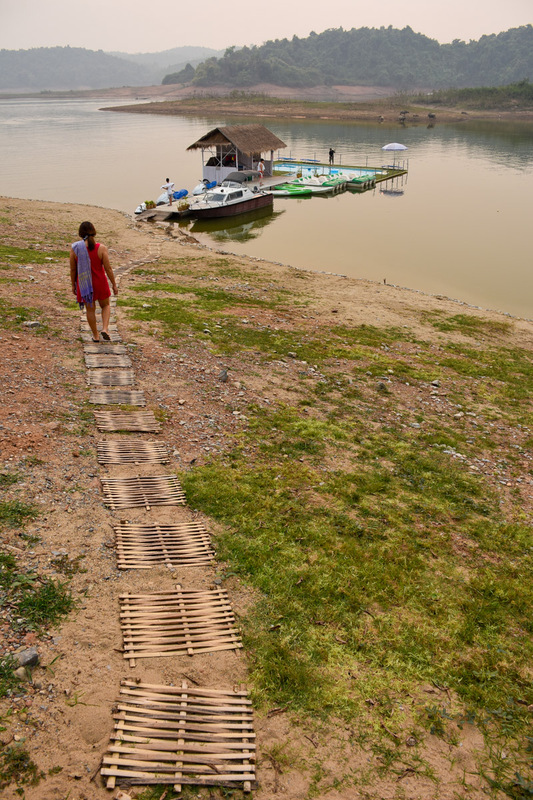 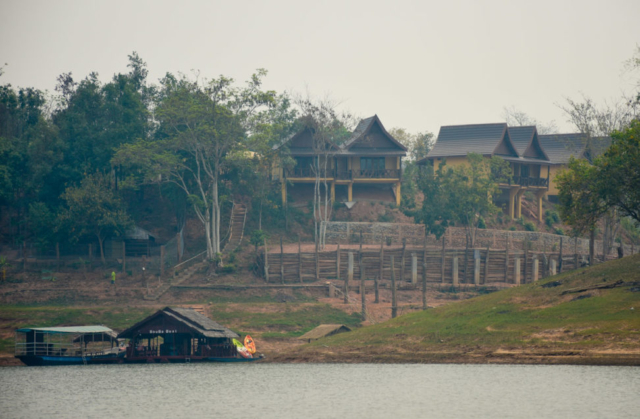 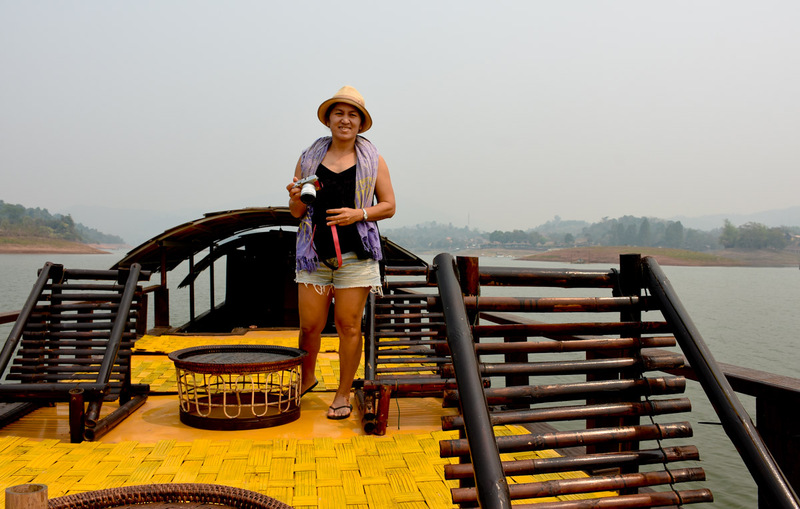 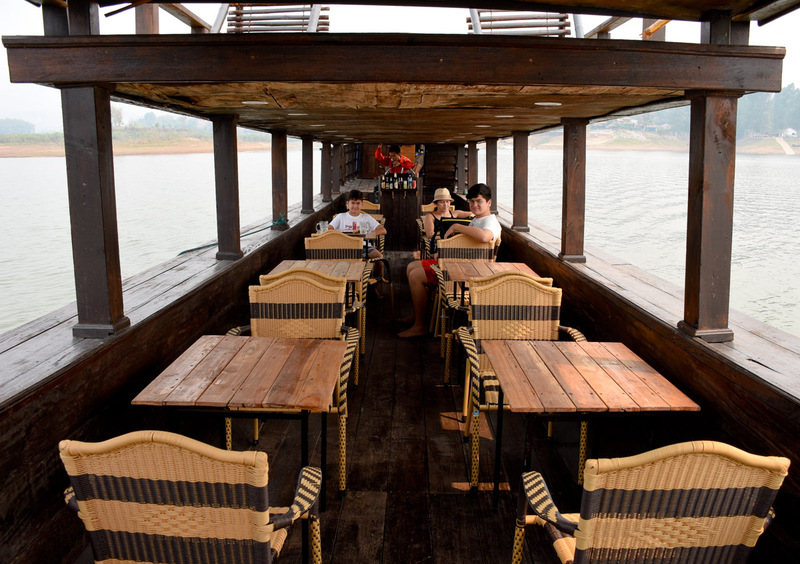 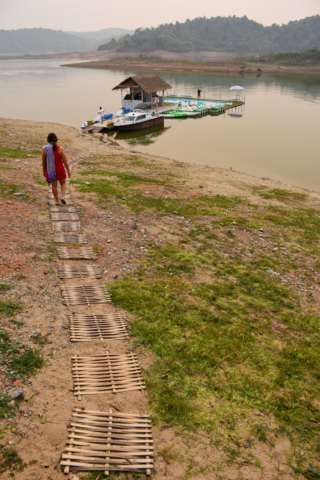 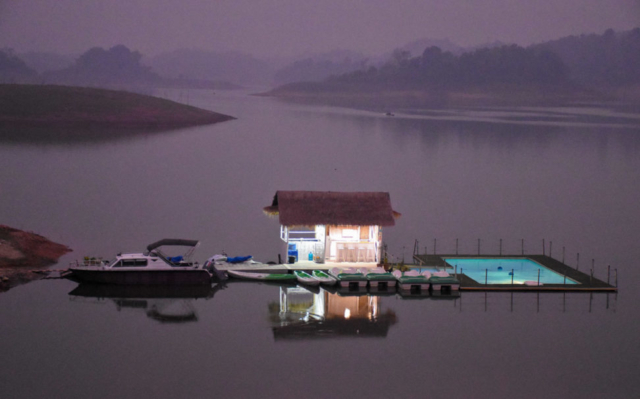 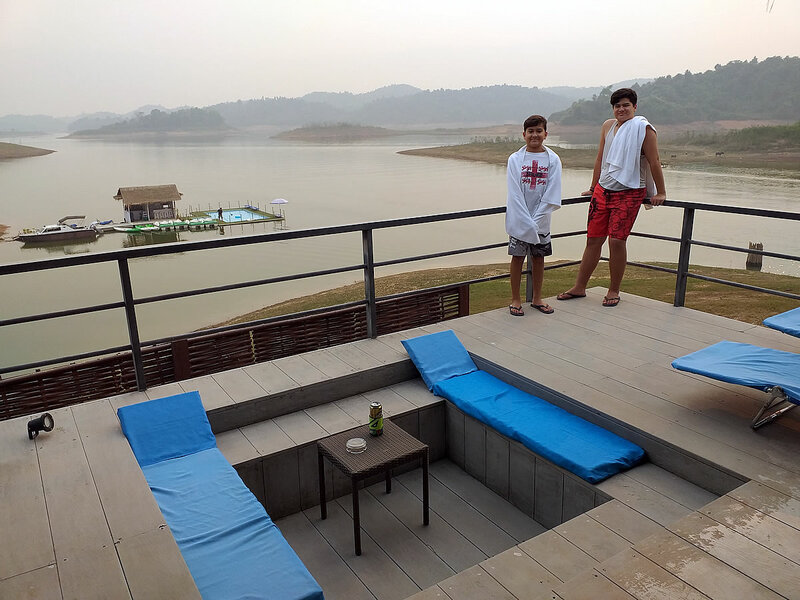 It was time to get out of the city and head north but before we got to Vang Vieng we decided to splash out and have a couple of nights on the largest lake in Laos at the Sanctuary Resort at Tha Heua. The three hour minivan ride was taken at typical Asian breakneck speed on a road that made the surface of the moon look smooth. 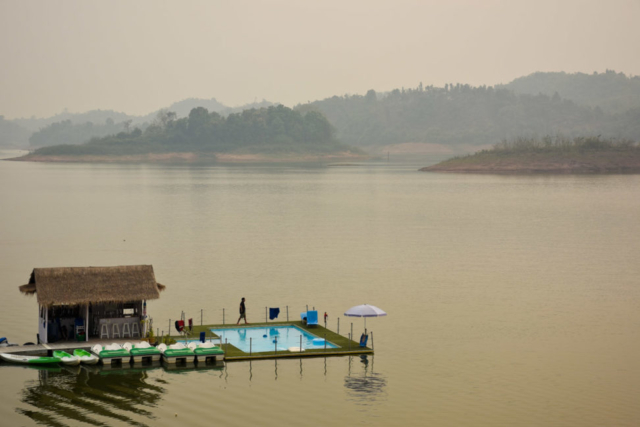 Apparently the Chinese have been trying to rebuild them for the past five years with little success. They do have a tight grip on all of the power plants and most of the construction up here though. 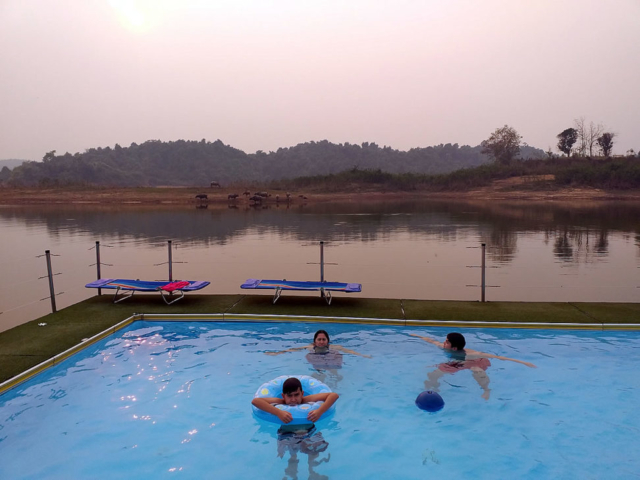 The resort truly was a tranquil hideaway and being beyond the budget of most backpackers, virtually empty. 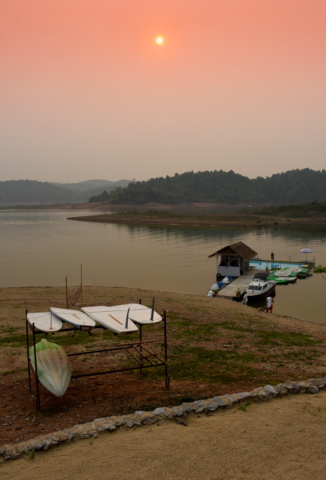 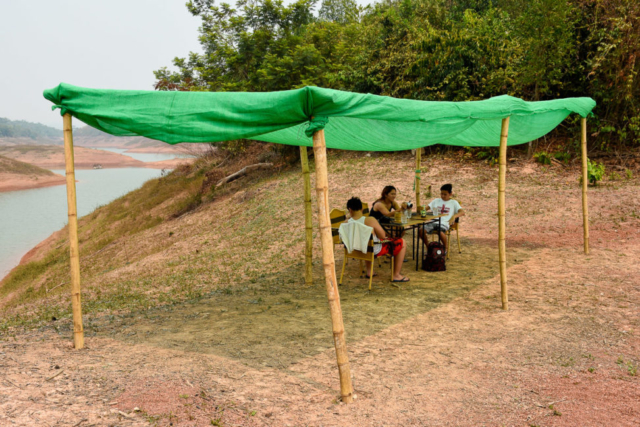 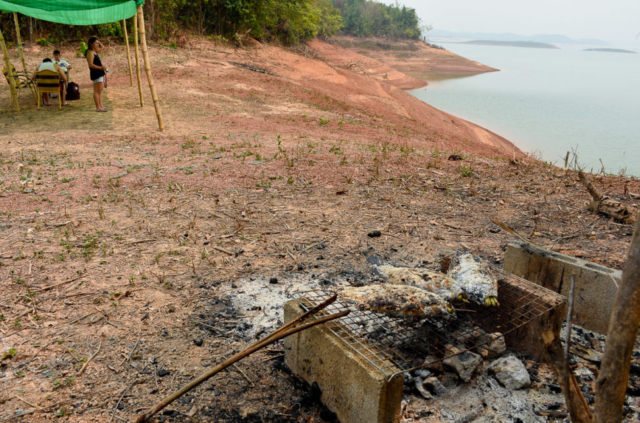 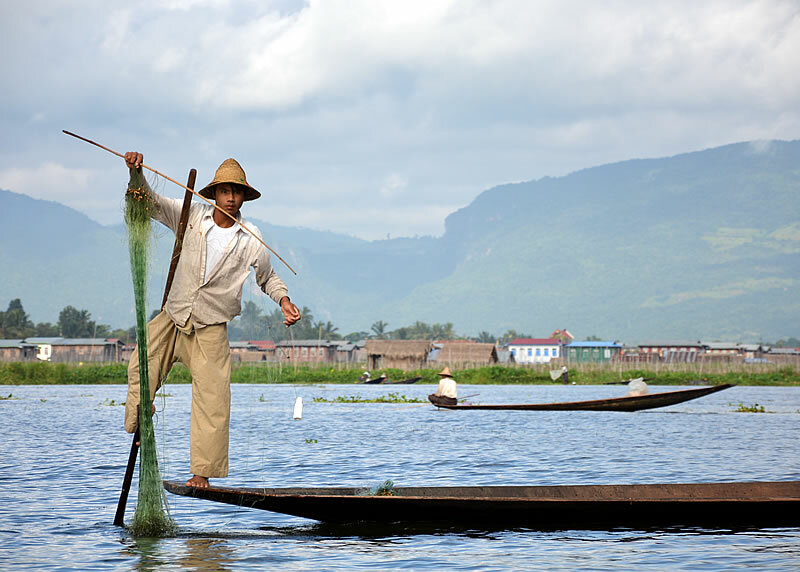 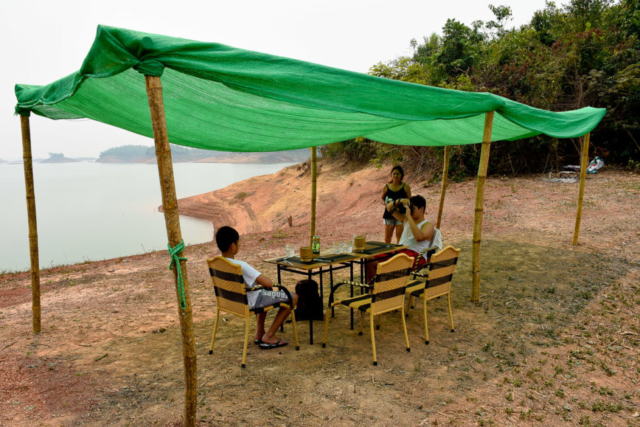 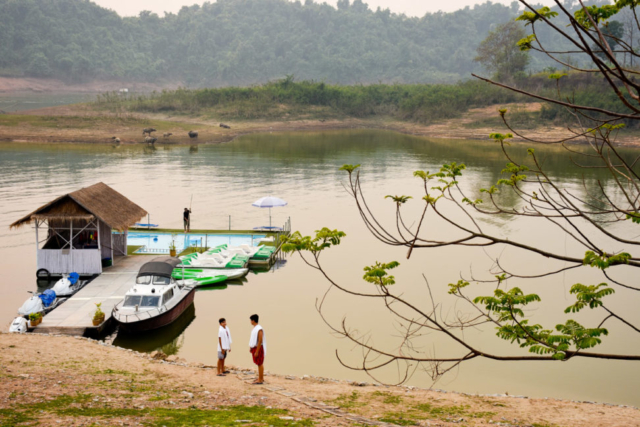 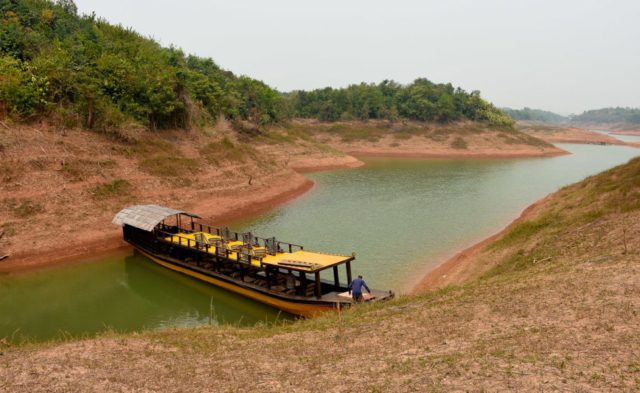 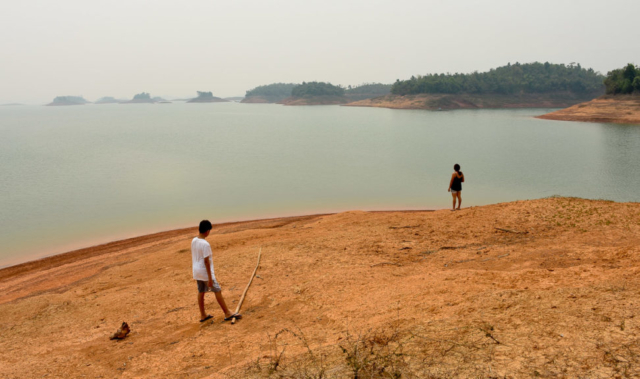 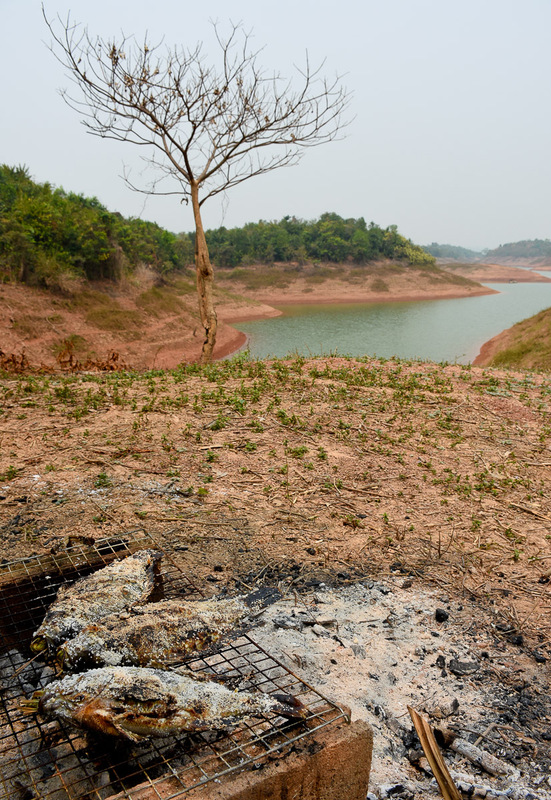 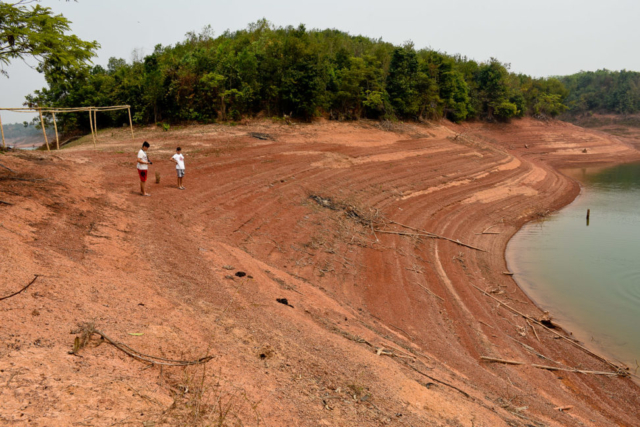 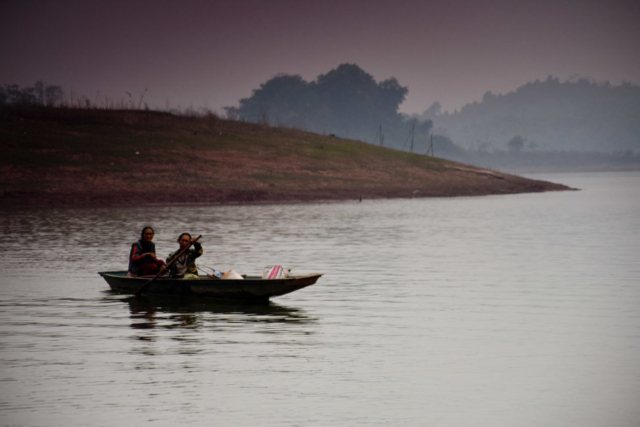 The Nam Ngum reservoir is around 380 square kilometers and the dam generates nearly all of the power requirements for the county, the rest – around 75% of the total – is sold to Thailand. 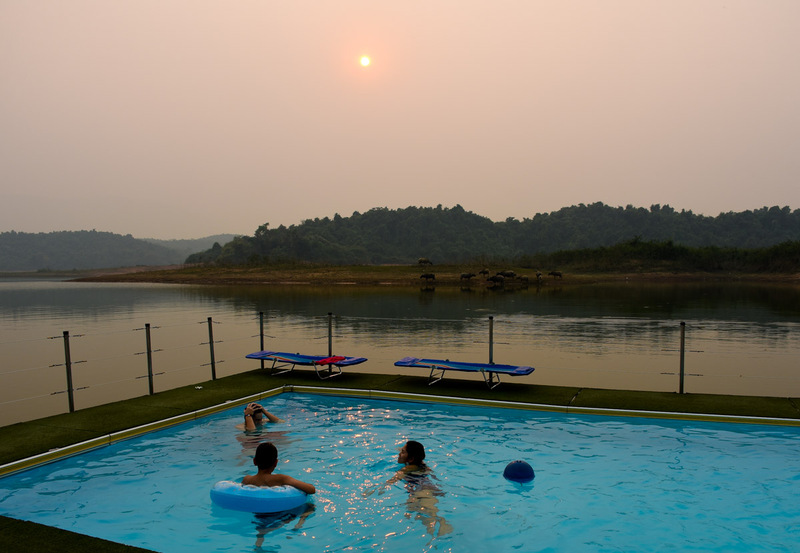 Our resort was at the northern end of the lake, which is dotted with thousands of tiny islands formed when the valley was flooded. The only drawback was at this time of the year it was field burning season so a permanent haze shrouded the place and visibility was limited. 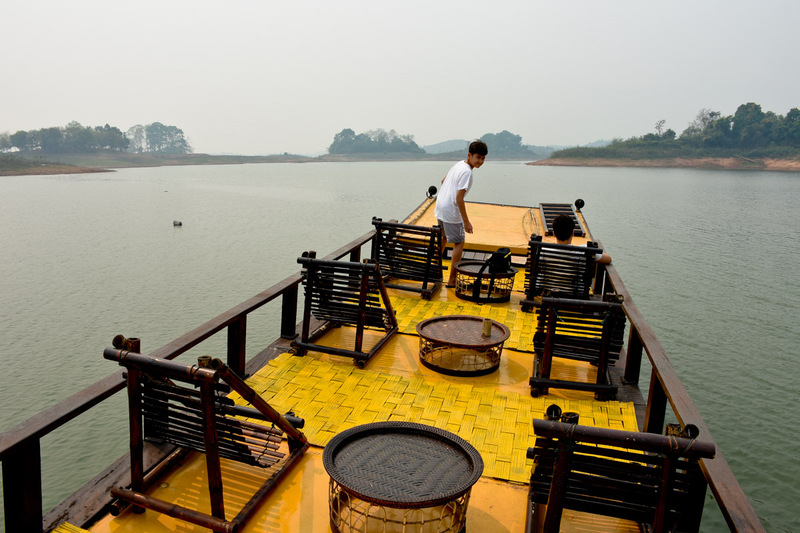 We wanted to get out on the lake so took a cruise across it for a barbecue lunch on one of these remote islands. 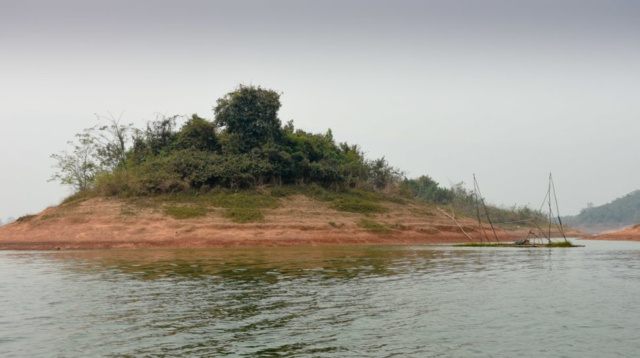 We had the boat and the island to ourselves, the place is extremely peaceful with only the odd fishing boat motoring past now and then. 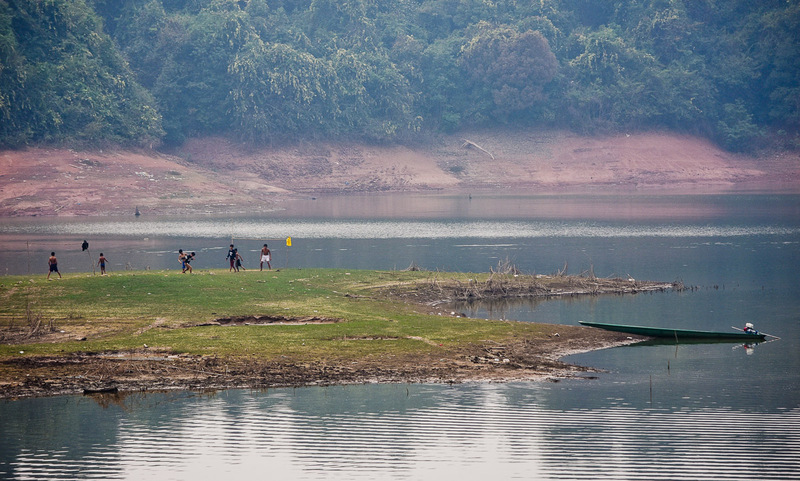 This is one of the advantages of a country with a lower population than most major cities, less than 7 million. 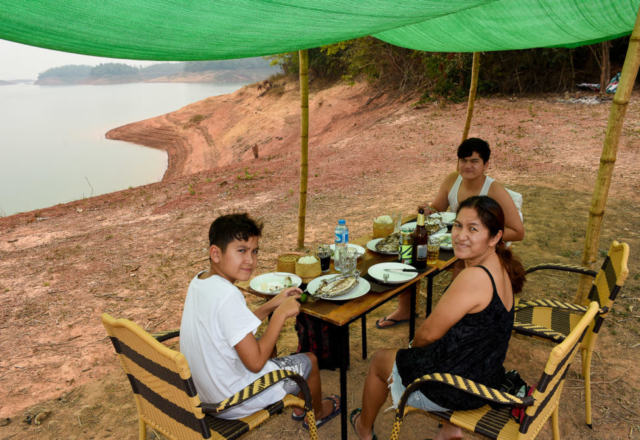 The four of us truly felt spoilt as fresh tilapia was barbecued and I cracked open a cold one, like something out of the old colonial days. 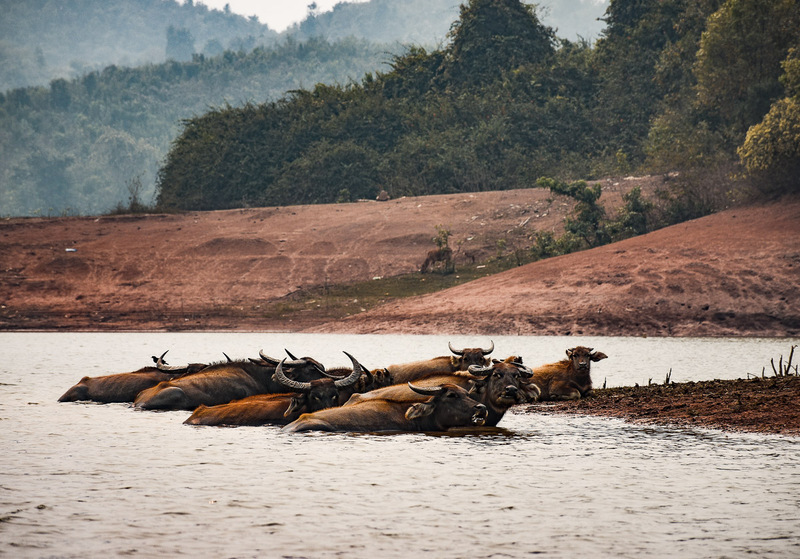 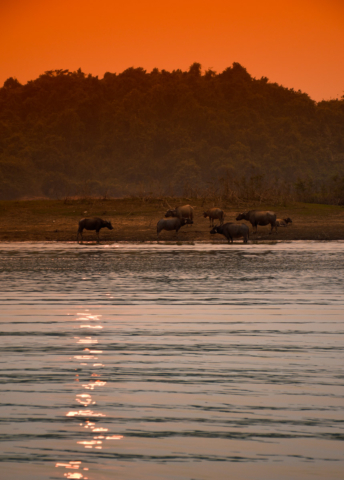 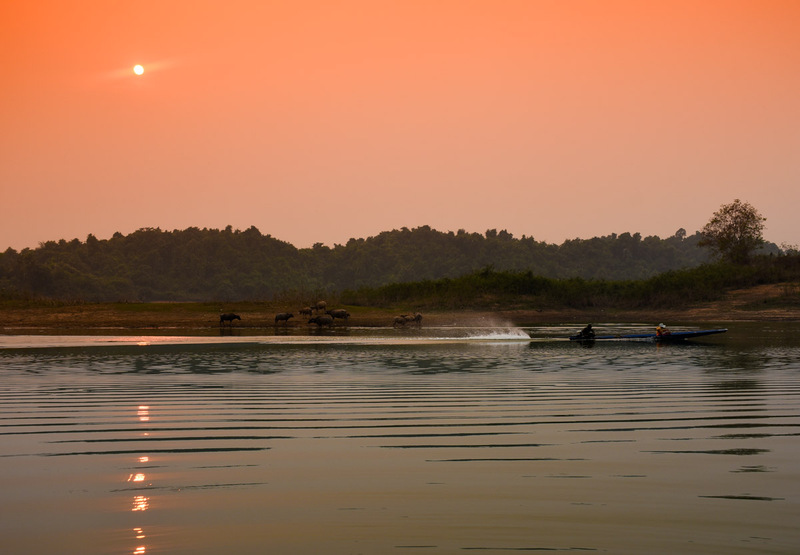 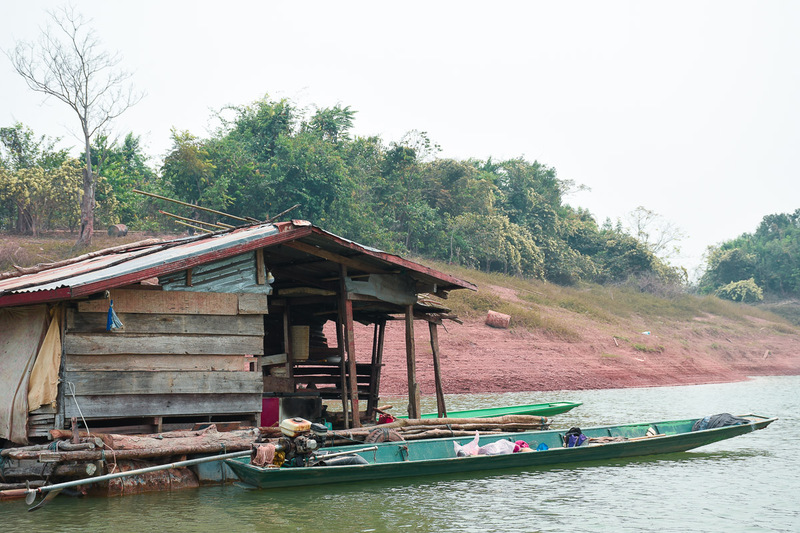 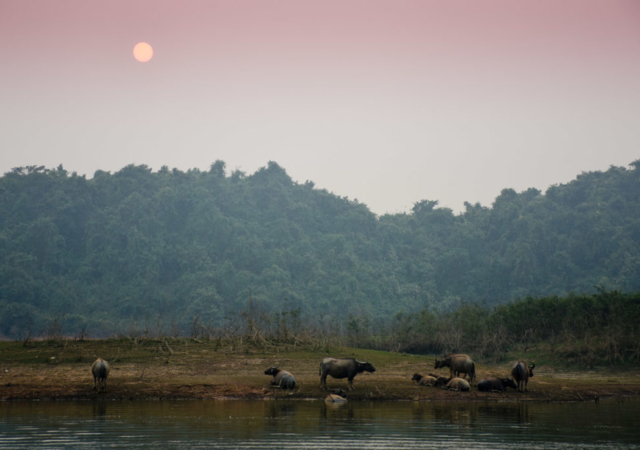 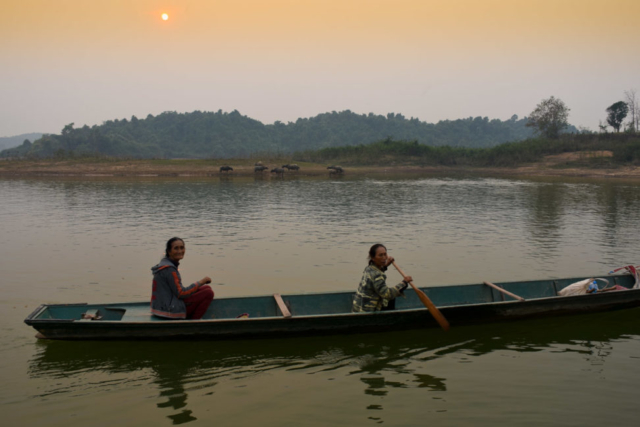 The afternoon was spent on the terrace overlooking the lake as the sun burned a deep red through the haze as it dropped lower while the islet dwelling water buffalo headed to rest for the evening.